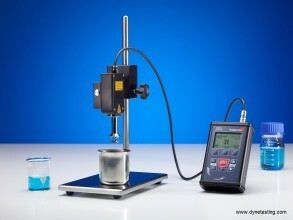 Dyne Testing offers an in-line test instrument for monitoring and controlling the contamination level of liquids used in industrial wash machines and rinsing baths during the industrial cleaning process. An increasing level of contamination caused by grease or oil left by machined parts in cleaning baths will cause a decrease in the cleaning power of the rinsing media and a high parts cleanliness cannot be guaranteed even if an optimal cleaning agent concentration is used. 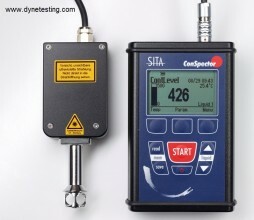 The SITA Conspector will detect oils, grease and cooling lubricants in industrial wash and rinsing baths. 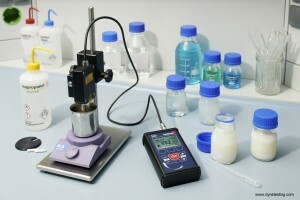 The instrument enables the operator to carry out quick and simple checks from samples taken from the wash/rinsing bath. The instrument will measure the contamination level found in the liquid by detecting contamination through fluorescence which is excited by UV light from an LED in the sensor head. The UV light or fluorescence light is lead into the liquid by a light guide rod at the sensor head. A photodiode in the sensor head measures the fluorescence intensity. The fluorescence intensity depends on the amount of contamination found in the liquid at the measuring point, i.e. the higher the fluorescence the more contamination found in the liquid. The optional SITA-ProcessLog Windows based software enables the user to analyse results and create simple graphical and documented measurement reports. For additional information or to discuss this product further, please contact our Sales Team.